Lyme Disease and associated co-infections like Babesia, Bartonella, Ehrlichia, Mycoplasma are rapidly spreading worldwide, often undiagnosed, mimicking many common illnesses such as: chronic fatigue syndrome, fibromyalgia, arthritis, autoimmune disorders, rheumatoid arthritis, lupus, multiple sclerosis, Alzheimer’s, and even psychiatric conditions like depression, anxiety, and OCD. Proper and early diagnosis is challenging due to current testing criteria, the conventional medical model, and testing options available. Many people as a result, are misdiagnosed, or undiagnosed, or told it “is in their heads.” These folks unfortunately do not get the proper care they need to fight the systemic infection(s) that are the root cause of their symptoms. The most common symptoms are: fatigue, headaches, neck or back pain/stiffness, migratory joint pain/swelling, tingling/numbness/burning in extremities, brain fog and confusion, memory issues, poor sleep, and difficulties in speech or writing. These can become chronic leading to a complex health picture with little or no real answers after numerous doctor visits. Complete lab testing & clinical assessment of: lyme disease & co-infections, methylation genetics (MTHFR), nutritional deficiencies, salivary adrenal/hormonal levels, and functional stool analysis. Many of these tests can be requested through your medical provider. Remember that the testing is helpful but the true diagnosis of lyme disease is a clinical diagnosis. Effectively treating all infections in the body: with natural remedies and/or conventional antibiotics. These treatments must address- both intracellular and extracellular tissues. Treatments must address all forms of Lyme disease including the cell-wall spirochete, cystic or round body, and biofilm matrix including “persister dormant” cells. Careful considerations need to made regarding antibiotics, as lyme bacteria are smart enough to change forms and evade treatment by creating a barrier that antibiotics cannot penetrate. Lyme disease is a bacterial infection caused by a spirochete-a corkscrew shaped bacterium called Borrelia burgdorferi. Lyme disease is called the great imitator because it has the same symptoms as many diseases and affects any organ in the body, especially the brain and nervous system, heart, muscle, joints, collagen/connective tissues, and the eyes. 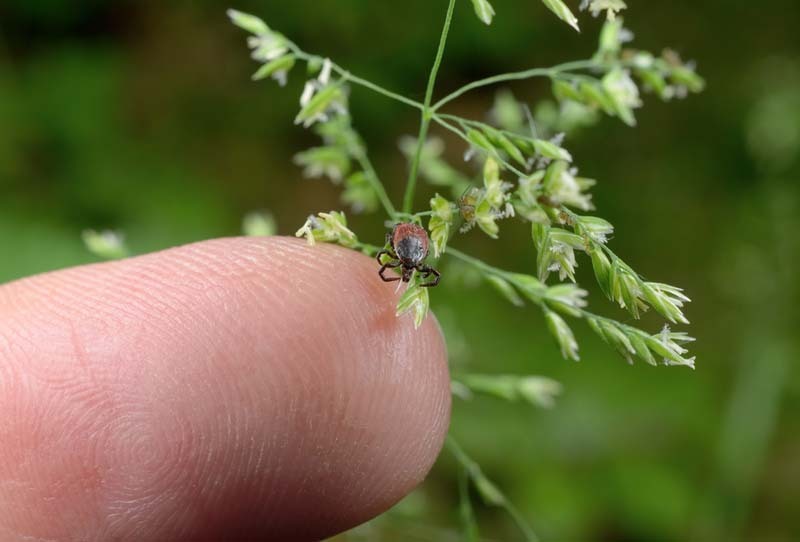 Lyme disease is primarily transmitted from the bite of an infected tick. There are numerous ticks including: Ixodes scapularis (deer ticks), Ixodes pacificus (west coast tick), and Amblyomma americium (lone star tick), and Dermacentor veriabillis (American dog tick) to name just a few. These ticks are prevalent throughout the entire country and therefore lyme disease is not just an east coast disease. More research on transmission is needed because lyme disease has also been found in fleas, dust mites, mosquitos indicating that lyme disease many not be solely from an infected tick. Also, all animals could carry lyme disease as ticks can feed on all rodents (especially mice), horses, dogs, cats, etc. Also, recently live spirochetes have been found in sexual fluids perhaps indicating that there could be possibility of sexual transmission. Borrelia strains other than Borrelia burgdorferi, including about 100 strains in the US and 300 strains worldwide. These include: Borrelia sps. STARI (lonestari), myamotoi, hermsii, parkeri, garinii, afzelii, to name just a few. Many can cause relapsing fevers monthly. Currently testing does not include these strains. Babesia microti, Wa-1 strains, a malarial-like parasitic infection infecting red blood cells causing severe symptoms, cough, night sweats, air hunger. Ehrlichia and Anaplasma, several bacterial infections, causing severe sudden headaches and fever. Lyme disease are anaerobic bacteria that love low-oxygen areas of the body, deep in tissues, and tends to attack your weak or injured areas. Enhancing your circulation and blood flow with exercise and hot epsom salt baths is critical to recovery. Also, when the bacteria are killed with antibiotics, they release endotoxins that can cause herx reactions and severe symptoms. Toxicity and Trauma are big obstacles to recovery in Lyme disease treatment and recovery. Treating the whole person helping “unlock” subconscious memories, trauma, unexpressed emotions, fixed beliefs, and rigid thinking. Lyme is a very confusing illness because in 50% of the cases, there is no tick bite or rash to be found. For a complete assessment questionnaire, please refer to the link below of Dr. Richard Horowitz’s Lyme-MSIDS Questionnaire. Remember, Lyme Disease is a “clinical diagnosis” and this questionnaire is a very helpful tool. Please download, fill out, and bring to your initial appointment with Dr. Tom. ELISA: screening first-tier test, not highly sensitive. A negative ELISA test does not rule out Lyme Disease. Lyme requires multi-layered treatment and healing in the body, heart, mind, and soul levels for best outcomes. This requires prioritizing and “attuning” to the person and their needs. Compassion is therapeutic and necessary from doctor. Optimizing the host-the person’s terrain: increases the strength of host which increases resistance to disease and enhances recovery. Lyme Disease is here to teach us something about our true nature. This is a healing opportunity and if we embrace the journey rather than resist it, it will be transformative. Why is this happening to me versus for me? 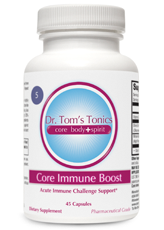 Our core immune system strength–70 % of our immune system is in our guts and is affected by our food choices, chronic infections, and environmental toxins. Do you trust your gut instinct or intuition? Lyme Disease is here to teach us something about our true nature. This is a healing opportunity. If we embrace the journey rather than resist it, it will be transformative. First do no harm by assessing how strong or weak an individual is prior to treatment. Treat the whole person-body, mind, and spirit. This requires individualized care and attention to details. Prevention is key by strengthening resistance and immune system, reducing exposures, and quick diagnosis. Strengthen the host by rebuilding the “terrain” of the person. This is first step in lyme disease treatment once it has become chronic. Special attention to spiritual awareness and mindfulness, diet, gut health, detoxification, adrenal energy, mitochondrial health, methylation genetics, immune system support, inflammation and pain management. Fight infections with an integrative approach of Qi energy healing, natural remedies including antimicrobial & immune boosting herbs, superfoods, homeopathic medicines, essential oils, vitamins & minerals, and conventional antibiotics (prescribed by your current health care provider) to empower your healing process. Build a strong foundation & core protocol with awareness, mindfulness, relaxation, movement, good sleep, and a strong, comprehensive protocol of vitamins, minerals, essential fats, and key targeted nutrients. Lyme Energy and Anti-inflammatory Diet is key–focusing on healthy proteins, vegetables, fats, superfoods, and antioxidants to power vitality. 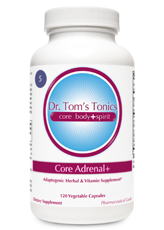 Boost life force or Qi by addressing and supporting the adrenal, thyroid, and pituitary glands. Mitochondrial support and supporting methylation pathways to repair oxidative stress. Strengthen immune system and provide natural antimicrobial support for bacteria, parasites, virus, candida, yeast, and mold. Include support for biofilms. 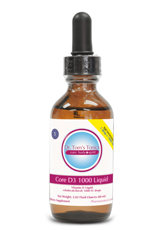 Inflammation support for muscles, joints, nerves, brain/neuro-inflammation. Address biofilms and blood coagulation with foods like real maple syrup, liquid stevia, pomegranate, green tea, plus other herbs and specialized enzymes. Neurotransmitter balance and brain energy support (reduce “leaky brain”) to repair brain neuron membranes and support serotonin pathways for happy mood and healthy sleep. Core Daily Cleanse Shake (or Core Vegan or Core Pure Protein) for daily protein intake muscle mass, energy and inflammation support, and detox and drainage. Mixture of multiple human strains naturally occurring in the human microbiome including: Lactobacillus, Bifidobacterium, Bacillus, Streptococcus, in concentrations of 30-450 billion live viable organisms daily.